Mortgage interest rates are rising, but will higher monthly payments deter Americans from their dreams of home ownership? According to Fannie Mae's July 2013 National Housing Survey, 74 percent of respondents believed market conditions were favorable to home buyers, while 40 percent believed the current market is a good place to sell a house. Both results match the survey high. Equity home sales make up four of five sales and reach highest level in nearly six years. The share of equity home sales in California continued to expand in June, comprising four of every five home sales, thanks primarily to a drop in distressed sales. Meanwhile, sales of REOs fell into the single-digits for the third straight month and registered levels not seen since September 2007, the CALIFORNIA ASSOCIATION OF REALTORS® (C.A.R.) reported today. Although housing prices are rising nationwide in most markets, real estate professionals say the rise in the number of short sales give buyers an opportunity to catch some last-minute bargains. For the past 25 months, pending sales in the housing market have posted above year-ago levels. And the latest news from the National Association of Realtors (NAR) shows the trend continuing into May. 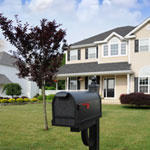 The Pending Home Sales Index (PHSI) rose 6.7 percent to 112.3, a full 12.1 percent above May 2012's index. The market hasn't shown such strong activity since December 2006. Southern California home sales held at a seven-year high last month thanks to a stronger economy, pent-up demand, low mortgage rates and the widening perception that a home is a good investment. Prices continued to regain lost territory as buyers competed for a thin supply of homes for sale and poured a record amount of cash into the housing market, a real estate information service reported.